The DD News took personal bites from the MP, the MLA, the ADG as also the President, Mysuru District Krishak Samaj and captured their views on the event. Also, 4 newspapers covered the event on Monday, 28.08.2017. The event photos were shared in WhatsApp group of KVKs of Karnataka, highlights were posted on the Facebook page of the KVK, along with pictures. 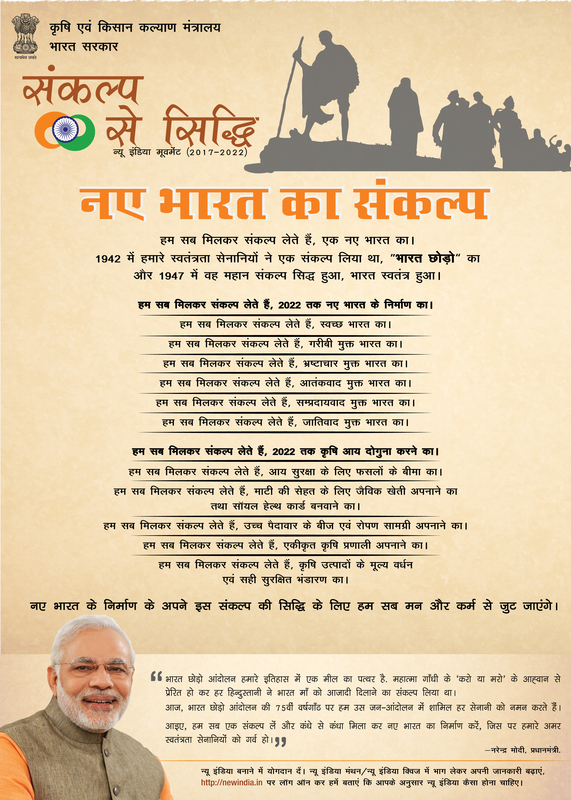 Chief Guest's Remarks:It is good to bring all the govt. programmes directly to the farmers and motivate them to get involved in the schemes by making them emotionally involved through pledging, said R. Dhruvanarayana, the MP. Appreciating the govt. efforts of expanding irrigated area under the ‘Pradhan Mantri Kirshi Sinchayi Yojana’ and safeguarding farmers’ interest against climate risks though the ‘Pradhan Mantri Fasal Bima Yojana’, the MP called on the farmers to diversify their crops and adopt allied enterprises. Quoting the many farmers’ suicide cases in Mandya district where the farmers tend to depend only on paddy and sugarcane, he said the water that the district is getting should be rather adequate for 3 districts. He was speaking on the occasion of inaugurating ‘Sankalp Se Sidhi’, a programme organized here today by the ICAR JSS KVK, Mysuru. 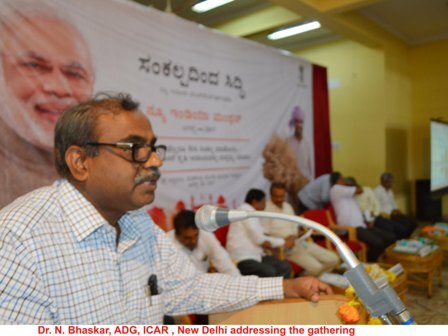 Dr. S. Bhaskar, ADG ICAR, New Delhi, explained the 7 thrust areas of the GoI as strategies aimed at doubling farmers income by 2022. Post Event Details:The DD News took personal bites from the MP, the MLA, the ADG as also the President, Mysuru District Krishak Samaj and captured their views on the event. Also, 4 newspapers covered the event on Monday, 28.08.2017. 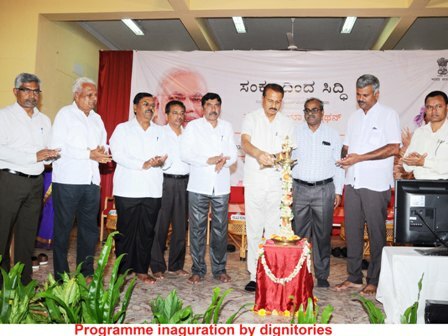 The event photos were shared in WhatsApp group of KVKs of Karnataka, highlights were posted on the Facebook page of the KVK, along with pictures.